The first step to Manufactured Spending is to get a Bluebird account. You can not register for a Bluebird account if you have a Serve account, since they are on the same system that is run by American Express. 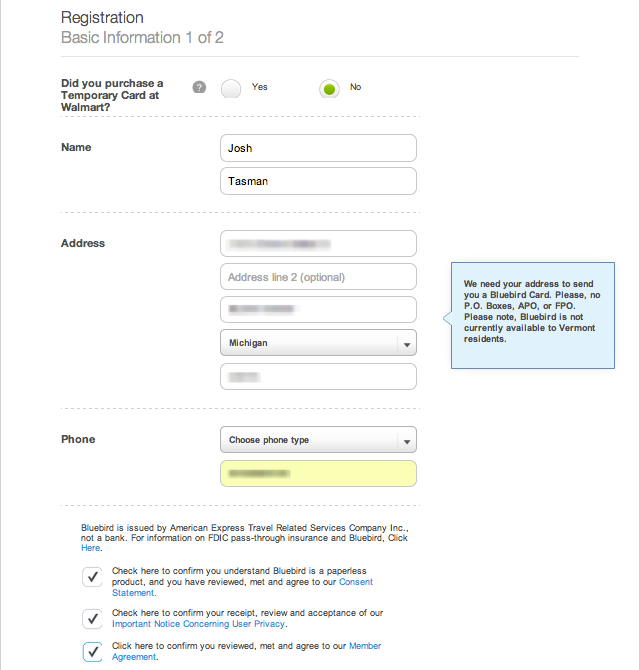 If you have a Serve account, you will need to cancel it. 1. Go to the Bluebird website and click Register Now on the main page. Make sure your pop-up blocker is off on this website, otherwise the Register Now button will not be able to bring up the Bluebird Application. 2. Enter your info and the Walmart temporary card number if you happened to buy one. If you didn’t buy one, then don’t worry about that part. Accept the terms and “Agree and Continue”. 3. 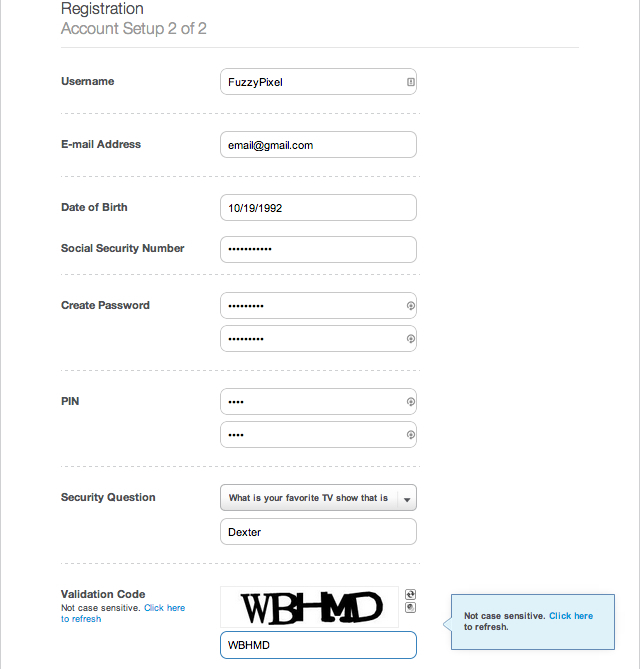 Enter a username, password, and all the other required information. Don’t worry about your credit score. They do not do a hard credit check, so it will not affect your score. Just in case you were wondering, Pixel is my cat’s name. 4. 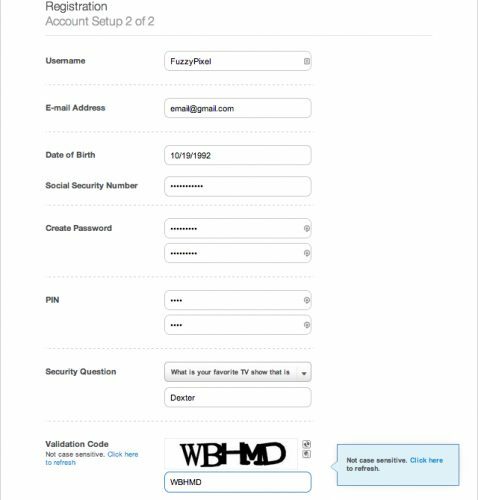 They have instant verification, so you should expect to receive your Bluebird in 5-7 business days after applying. You have now completed your first step in manufactured spending!